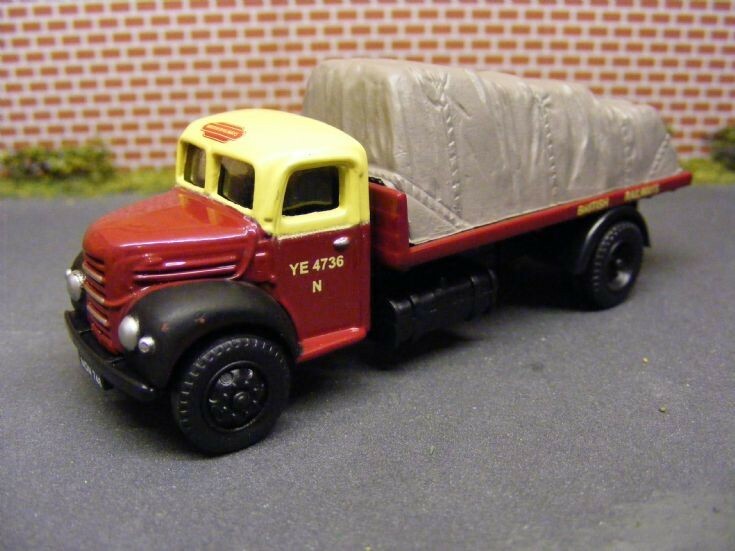 A similar model to a previous photo (picture #2201), this time complete with sheeted load. Those 'Rubber' bumpers appeared to have done the trick. Good value models and well detailed for their 1:76th scale by Classix/Pocketbond.